Woodville are Chorley Accountants with big ideas. We want our customers to get their businesses working for them. We want them to own a business and not feel like their business owns them. Our aim is to find out what your goals and dreams are, and then help you to convert that into a plan which you can implement and finally get on top of your finances and accounts. • Save time – for us both! • Give fast data – that you can act on NOW. • Save paper – and make sure you miss nothing. • Offer true value – get your time back… and get back to your life! 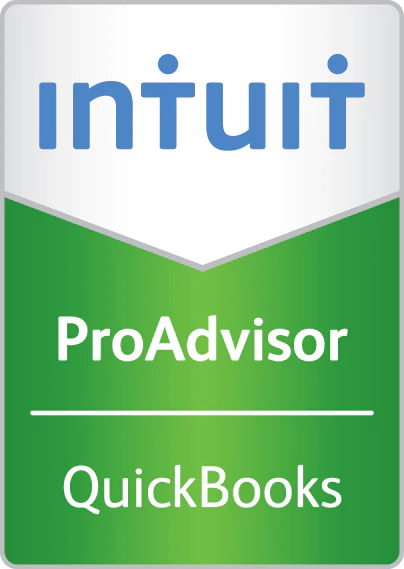 Our staff are fully trained and qualified QuickBooks Online advisers. This means you can be confident we can help you create the business you want. And whilst we’re giving digital a big push, we’re also open in our Chorley Accountants office if you want to pop in for coffee and cake. Just let us know and we’ll have it ready for you! When we first speak to a potential new customer, one of our first questions is to find out what score you give your accountancy function out of 10. This questions starts our process of finding out what we think you truly need. This is what makes us different from other Chorley Accountants. Our bookkeeping service offers a complete range of services. If you want us to chase your debts, that’s fine. If you want us to raise your sales invoices, no problem. Scan all of your invoices into your software for processing, let us know! We will ensure your finance function is your ten out of ten. And by removing some of the burden, which to be frank doesn’t make you any money, you can get back to what you enjoy doing. And let us do the number crunching, which is what we love to do. Whilst we only a (comparatively) small firm of Chorley Accountants, we pack a punch when it comes to a quality and fast bookkeeping service. We know you need your figures now, and not when it’s too late. We do this by utilising tools such as Auto Entry and QuickBooks Online. We’ve created a process which you can use to ensure your figures are up to date and accurate. Auto Entry is an invoice and bank statement processing tool which uses OCR technology to process your data. This will save you time and money as the computer will do the work, not a member of staff (or you!). We link Auto Entry with QuickBooks to give you the ultimate tool-kit for your bookkeeping & business. We set up bank feeds and custom reports so you can find out what you need to know and fast. We can also help you set up other apps within QuickBooks Online which will help you get paid faster. If cashflow is a problem, let us help you get on top of it. Finally, by using Auto Entry with QuickBooks Online, we can help you save a lot of paper. So good for the environment too! Every little helps. After our Discovery Call, if there’s a good fit between us and we know we can help, we invite you to our Chorley office for an in depth chat about you and your business. In that chat, we will add some true value to you and your business. Once we have a good picture about you, your business and where you’re going, we will put together a plan of what we think you need. We use software to build you a bespoke price and proposal on the spot. It details what we do and how to it benefits you. It’s completely transparent and we can then tailor based on your budget accordingly. Are you ready for a different Chorley Accountants?